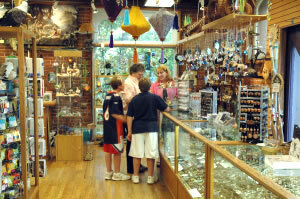 Wonder where to look for an eclectic collection of unique jewelry, art, artifacts and natural wonders? Wonder no more, this is the place! From the moment you enter the door it is hard to decide where to look first, as you trip through the world in this shop. 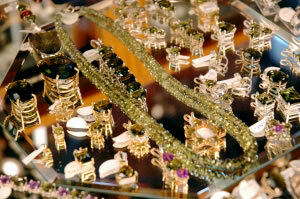 A vast assortment of jewelry from all over the world emphasizes this shops passion for adornment. Artifacts, sculpture, ethnic art and cultural collectibles inhabit every corner. Crystals, minerals and gemstones oh my! And oh more! Housed in the historic old Spokane Flour Mill on the banks of the river, this is a shop not to be missed. Wonder-ful! A bonus coupon on their web site for 20% off a purchase!